Parking is one of the most important facilities in any office building, especially for building of this size. With online parking systems becoming more and more common in car parks around the UK, we decided to introduce one in our car park to make it easier to park and pay. 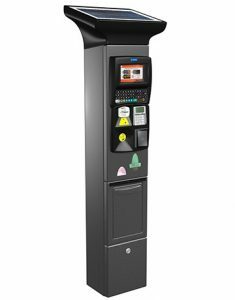 Not only we have introduced a online parking system, but we have also installed a new Pay and Display Machine at the front of the car park for visitors who are not yet used to the online parking system.